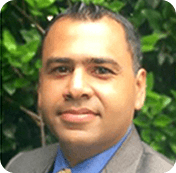 Dr. Desai brings more than 15 years of experience in growing and nurturing businesses to his newest venture. Prior to Eyestem, he was part of the global leadership team at Quintiles and headed up their cardiac safety business from 2001 to 2007. More recently, he was the CEO of Cenduit, the world’s largest standalone randomization company with offices in Bangalore, Basel , Philadelphia and North Carolina and a joint venture of and ThermoFisher Scientific. 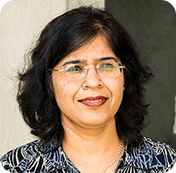 Dr Rajani Battu is the Chief of Ophthalmology at Aster CMI Hospital, Bangalore. Following her MBBS from Bangalore Medical College, she did her Master’s at St. John’s Medical College, Bangalore. She obtained her fellowship from the Royal College of Surgeons, Edinburgh. She underwent fellowship training in vitreo-retinal surgery at Sankara Nethralaya, Chennai. She subsequently was awarded an ICO fellowship with Prof. Anthony Moore at Moorfields Eye Hospital for ‘Inherited retinal dystrophies’. 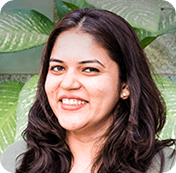 She was a senior consultant in the Vitreoretinal department at Narayana Nethralaya, Bangalore till February 2015. Dhruv Sareen, PhD, is the founding director of the Induced Pluripotent Stem Cell (iPSC) Core at the Cedars-Sinai BOG-RMI. Dr. Sareen’s lab at Cedars-Sinai is currently developing personalized stem cell disease models for patients with neurodegenerative and metabolic diseases. Dr. Sareen received his Ph.D. from the University of Wisconsin at Madison, where he discovered novel pathways to eliminate cancer cells using the natural red wine product (resveratrol) and participated in its pre-clinical drug-development. He collaborates with many laboratories interested in applying stem cells that his lab generates to repair and regenerate the cornea and retina to treat many vision disorders. Dr. Rajarshi Pal brings a unique blend of 15 years experience in the industry and academia on stem cells and regenerative medicine. 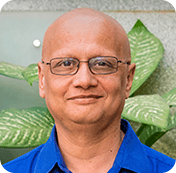 From 2011-2017, he was a faculty at School of Regenerative Medicine, Manipal Academy of Higher Education, Bangalore. Prior to that (2003-2010) he worked at the National Institute of Immunology, New Delhi; Reliance Life Sciences, Navi Mumbai and Stempeutics Research, Kuala Lumpur, Malaysia. 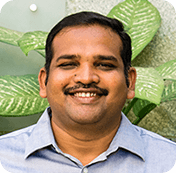 In 2014 he did a stint with Prof. Kapil Bharti at the NEI-NIH, Bethesda under the IUSSTF program and in 2013 he was the recipient of ICMR Young Biomedical Scientist award. 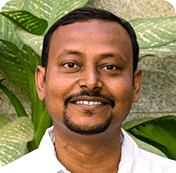 Currently, he is a Visiting Scientist & Adjunct Professor with The University of Trans-Disciplinary Health Sciences and Technology, Bangalore. Dr. Pal has 45 international publications, 5 patents and 7 book chapters to his credit. Harshini completed B.Tech (Biotechnology) from Anna University. She then started her research career with Prof. Prabha Sampath at Institute of Medical Biology (IMB), ASTAR, Singapore in the area of translation control of disease. 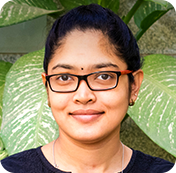 Upon return she joined the School of Regenerative Medicine, Manipal Academy of Higher Education, Bangalore as Research Fellow to work on pluripotent stem cells based modelling of lung and nervous system disorders. Currently at Eyestem, she takes care of the ongoing work on de novo generation, characterization, and enrichment of retinal pigment epithelial (RPE) cells targeted for Age-related Macular Degeneration (AMD). Sushma did her BSc from Jyoti Nivas College, Bangalore and holds an MS degree from University of Sheffield, UK. She started her career in stem cell biology by assisting Prof. Harry Moore, Centre for Stem Cell Biology, Sheffield, UK. After her return in 2015, she worked briefly at the St. John’s Research Institute, Bangalore in the Department of Molecular Medicine on nephrotic diseases. Currently, at Eyestem, she takes care of the expansion, quality control and storage of master cell bank (MCB) and EyecyteRPE under GMP conditions in collaboration with Anthem Biosciences for safety, toxicity and efficacy studies in animal models. Vijay completed his masters in Microbiology from Andhra University, Visakhapatnam and started his career as an Embryologist in Satya IVF clinic where he gained expertise in IVF & micromanipulation techniques. He further gained valuable experience on isolation, culturing, and differentiating human embryonic stem cells while at Reliance Life Sciences, Mumbai. At Lonza, Hyderabad he was involved in developing 3D cornea and tissue engineered skin for drug toxicity and penetration studies. From 2015 to 2017, he was associated with OvaScience, Abu Dhabi working on cutting-edge treatments for infertility. Currently, at Eyestem, he is handling the project on creating a biobank for patient-specific iPSC lines. Mohanapriya obtained her B.Tech degree in Agricultural Biotechnology from Agricultural College and Research Institute, TNAU, Coimbatore. 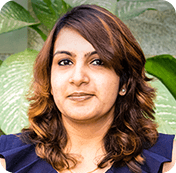 She has a Masters degree in Regenerative Medicine from the School of Regenerative Medicine, Manipal Academy of Higher Education, Bangalore. 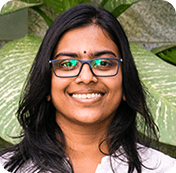 She was associated with the campus-wide Stem cell facility at Institute for Stem Cell Biology and Regenerative Medicine (InStem), Bangalore and has over two and half years of experience in the culture and maintenance of pluripotent stem cells. At Eyestem, she assists with the ongoing work on generation of RPE and PR from iPSC and is also attempting differentiation into other cell types like distal and proximal lung epithelial cells for testing in animal models of lung injury. Swapna did her Masters from VIT University with a semester at National University of Singapore, where she worked on telomere shortening in glioblastomas. She then pursued her Ph.D at Sree Chitra Tirunal Institute for Medical Sciences and Technology, Trivandrum where she worked on degradation kinetics of alpha-synuclein, a protein implicated in Parkinson’s disease. She had a brief stint as a postdoc in Indian Institute of Science, Bangalore where she continued to work on autophagy in cardiac function. Currently, at Eyestem, she is attempting to create an iPSC-based platform for safe and effective usage of cell replacement therapy using suitable gene manipulation techniques.